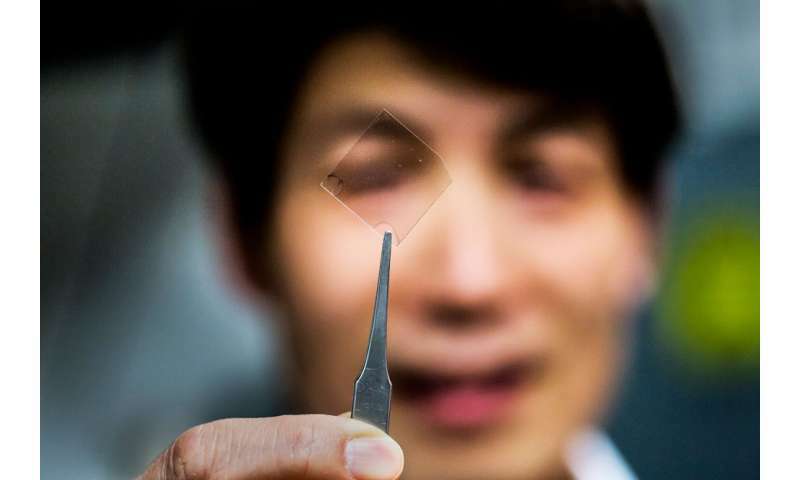 University of Michigan researchers have created a transparent silver film that could be used in touchscreens, flexible displays and other advanced applications. 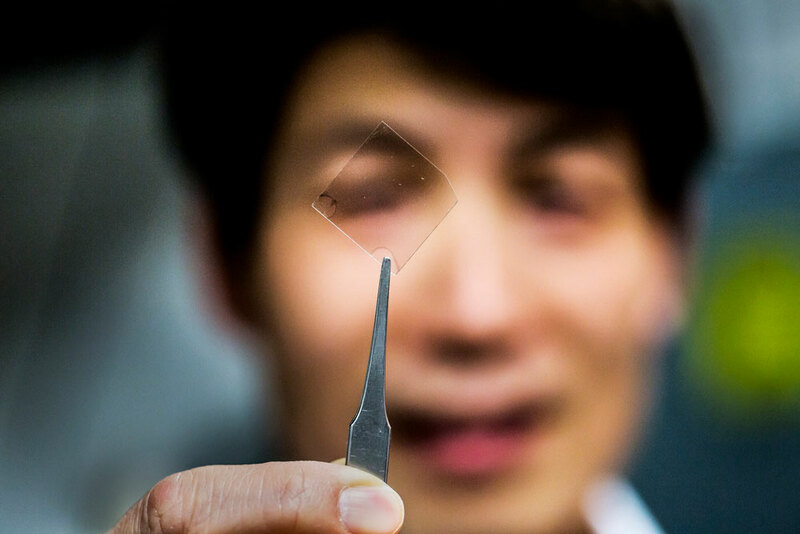 L. Jay Guo, professor of electrical engineering and computer science, holds up a piece of the material. Credit: Joseph Xu/Michigan Engineering.